There are many people who make trips to Machu Picchu, sometimes only one day, but if you have more time available, we will teach you to plan that dream trip to Cusco the Sacred Valley and Machu Picchu. We believe that this is the ideal way, but it can vary if it comes from very low places, since it needs a previous acclimatization, and this can do it in the Sacred Valley of the Incas, then go to Machu Picchu and finish its journey in The city of Cusco. All the people that arrive travel to Machu Picchu pass through the city of Cusco, but there are many, many reasons not to miss the Sacred Valley on your trip to Machu Picchu . How many days do I need to visit Cusco, the Sacred Valley and Machu Picchu? The days necessary to make a trip like this are 4, although it can be done up in 3 days, the best way to travel places like the ones you will see in Machu Picchu and the Sacred Valley of the Incas is with patience. If you plan this trip well, it is likely to become the journey of your life, otherwise it may prove disappointing; If you wish we can arrange your trip to Cusco, the Sacred Valley and Machu Picchu for you, just contact us through info@boletomachupicchu.com, by chat online or as you wish. To begin, if you intend to do this trip on your own and not on an organized tour, know that any trip to Cusco and Machu Picchu begins with the purchase of tickets to Machu Picchu, especially if you want the Huayna Picchu mountain, Since the Machu Picchu + Huayna Picchu tickets must be booked at least 4 months in advance and even then, you will have to settle for the tickets available for the remaining days; If you want to choose the group and the day you want to enter the Huayna Picchu mountain, we recommend you book these tickets 6 months in advance. After booking Machu Picchu tickets, the next thing is to book train tickets, after then you can worry about airline tickets, hotels and guides. If you are coming in high season (May – August) all this will have to be booked a few months in advance, if you do not do this you will probably have to spend a little more money, since last – minute bookings in high season are very expensive . On your first day in Cusco stay calm, especially if you come from cities near the sea level. You can do a city tour of the city of Cusco from noon, we recommend you rest in the morning after your arrival. Drink plenty of coca mate, this will prevent you from getting sick of “altitude sickness”. 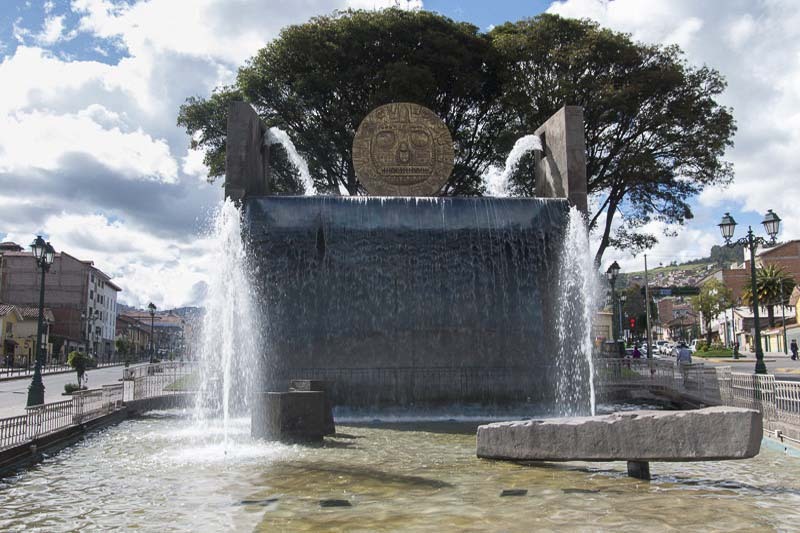 You can buy the tourist ticket in the Plaza de Armas of Cusco, this will serve not only to visit places like Sacsayhuaman, and other archaeological sites in the vicinity of the city, but to visit the churches of Cusco and the archaeological sites in the villages of The Incas’ Sacred Valley. The tourist ticket of Cusco includes, the best places of the City, the Cathedral of Cusco is probably the first place you visit on your way through the ancient capital of the Inca empire, after then you can go to Coricancha. Then go to the archaeological centers on the outskirts of the city, start with Sacsayhuaman then Qenqo, Puca Pucara and Tambomachay. Most of the organized tour ends in Cusco’s Plaza de Armas, before 7 pm. 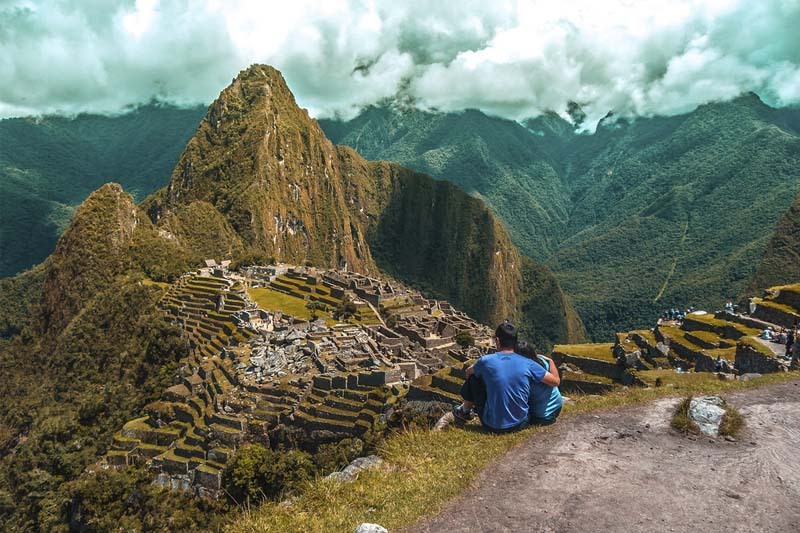 Although it is possible, it is very difficult to make changes to the Machu Picchu ticket reservation; In addition, any change is subject to penalty and keep in mind that it is not possible to return or change tickets for students purchased with Student ID Card. This is why there can be no errors in the dates you choose to buy the ticket Machu Picchu. While touring the city of Cusco and its surroundings, you can appreciate the work of Cusco artisans, but something that can not be missed is to try Peruvian food, because if you did not know, Peru is one of the best gastronomic destinations Of the world. After this fabulous day, you can enjoy the incredible Cusco nights. Around the square you will find many discos and bars with people from all over the world, who like you, are looking for fun in the navel of the world. Hotel in Cusco (preferable in advance). Tourist ticket to enter the Cathedral, Qoricancha, Sacsayhuaman, Qenqo, Puca Pucara and Tambomachay. Transfers by bus, in a private taxi or on a tourist bus on an organized tour. Guided group, professional guide English – Spanish. The best way to get around the Sacred Valley is to join an organized group, so you will avoid dealing with the transportation yourself, but if you want to do it on your own, buses and minivans to the Sacred Valley of the Incas leave Puputi Street, Cusco, do not forget to have breakfast very well. If your hotel does not include breakfast, you may want to visit the San Pedro Market, here you can eat rich and cheap. In most cases, the tours of the Sacred Valley of the Incas begin 45 minutes from the city of Cusco, in the beautiful town of Pisac. The Incas ruins of Pisac will give you an idea of the advanced architecture reached by the Incas, is a species of real mansion that apparently belonged to the Inca Pachacútec; Here you can see andeneria, residences, ceremonial places, Canals and aqueducts. To visit the ruins of Pisac you need to know how to buy the tourist ticket of Cusco. Another thing that can not be missed in Pisac, is its artisanal market, with unique and authentic products. After half a day you can take another bus to the city of Urubamba to enjoy its delicious food, Urubamba is the commercial center of the Sacred Valley of the Incas, and in case you did not know, the best white corn in the world is produced in this town; In addition, the rainy season brings with it delicious seasonal fruits that you can not taste anywhere else in the world, the capulí, the strawberries, the pacay. After a delicious lunch in Urubamba, take a bus to the town of Ollantaytambo, the Inca ruins of Ollantaytambo were a military and religious agricultural center that served as entrance gate to the Inca Trail that led to the sacred Inca city of Machu Picchu, here You can see residences, temples, platforms, turrets and other amazing Inca constructions. 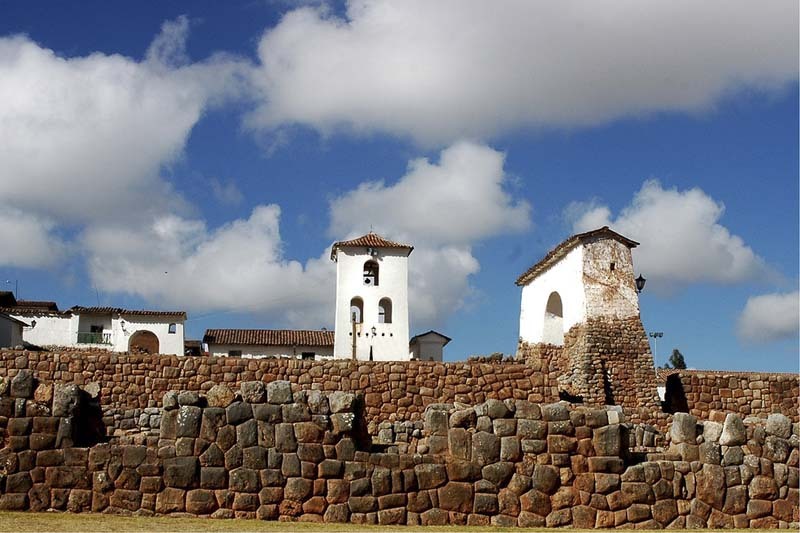 The way back is made by the town of Chinchero, known as the city of the rainbow; Is a colonial town that houses the church of Our Lady of Monserrat, which began to be built in 1607, over what was the Palace of Tupac Yupanqui. Bring non-slip hiking shoes, in pisac will rise many stone steps, and stone roads can be slippery, especially in rainy season. Take your camera, cap, sunblock, mosquito repellent, a water poncho (just in case) and a bottle of water. Try the empanadas in Pisac and buy some souvenir from the Pisac market. In Urubamba you can enjoy the best food in the valley. Tourist ticket to enter Pisac, Ollantaytambo and Chinchero. A professional guide English – Spanish. This day should start very early, 5:00 am is good time to start moving from Cusco to the train station in Ollantaytambo, remember that you should have booked train tickets in advance, at 7:20 am, the train Go through the Sacred Valley to the village of Aguas Calientes at the foot of Machu Picchu mountain and where the Inca city of Machu Picchu is located; You can have breakfast in Aguas Calientes there are many restaurants. Unless you want to climb Machu Picchu by foot, you will have to buy the bus tickets to Machu Picchu, these are sold to one side of the train station just before the Ruinas Bridge, and just in front is the whereabouts where you will have to board The buses to the entrance to Machu Picchu. In Aguas Calientes you board the bus that moves to the entrance gate of the Machu Picchu National Park on the top of the mountain. At the gateway to Machu Picchu you will be asked to show in “Valid passport next to a ticket Machu Picchu”, in case you do not have any of them, there is no right to enter Machu Picchu. At the entrance gate you can join a guided tour of Machu Picchu or hire a private guide just for you and your group. What you saw in Pisac and Ollantaytambo is impressive, but Machu Picchu has some of the most amazing constructions on the planet; Temples, residences, monoliths and other amazing constructions but that is not all because the natural environment of the mountains where Machu Picchu is built is beautiful and incomparable; Located between the jungle of the Amazon and the Cordillera de los Andes at 2,400 m.s.n.m. A guided tour takes between 2 and 2 hours and means of communication, after which there is plenty of free time to tour the city on your own. Find a good place and recharge your energy. After this you can board your train back to Ollantaytambo, and then a bus back to Cusco. Arrive at the train station at least half an hour before. Most of Machu Picchu’s trails are made of stone so wear non-slip shoes. We suggest carrying everything you need in a small backpack, your camera, a cap, sun block, repellent, rain protection (regardless of season) and a bottle of water. 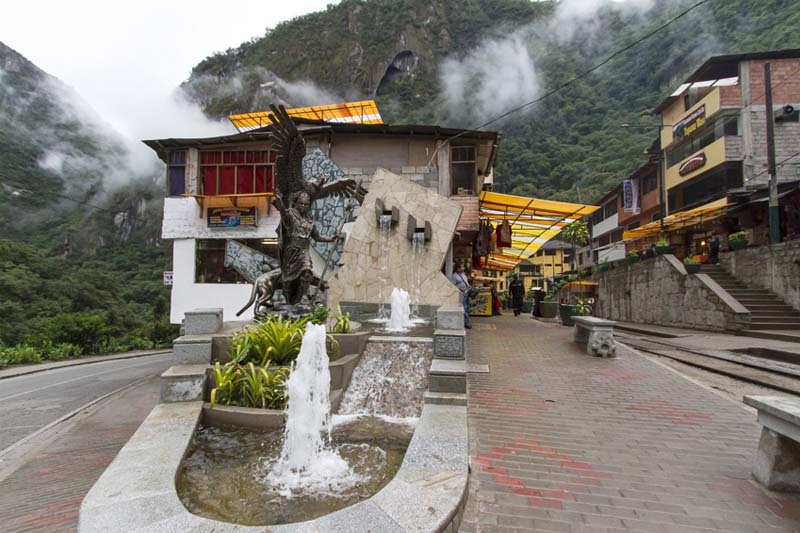 In Aguas Calientes you can not miss the opportunity to visit the thermal baths, it is a place of relaxation where you will meet people from all over the world. Hotel in Cusco, preferably booked in advance. Transfers by bus, in a private taxi or a tourist bus on a tour organized from Cusco to the station of Ollantaytambo. Machu Picchu Tickets (Reserved in advance), Check availability. Roundtrip train tickets (reserved in advance). Bus tickets to Machu Picchu. You can have breakfast at the hotel, at the airport or wherever you wish, in Cusco there are hundreds of restaurants, just be sure to be an hour before at the airport. Some people choose to visit the Sacred Valley of the Incas, then Machu Picchu and finally Cusco, this is recommended for people who want to have a stage of acclimatization in the Sacred Valley of the Incas, which is around 2,600 meters above sea level. Of his trip to Machu Picchu and his visit to Cusco.